Music has always been an excellent source of inspiration. Particularly if you are stuck with some problem you can’t find a workaround for, a beautiful song can give you a new perspective, let you see the problem from a different angle. And sometimes it’s just useful to make a break — for instance, watching some music videos. 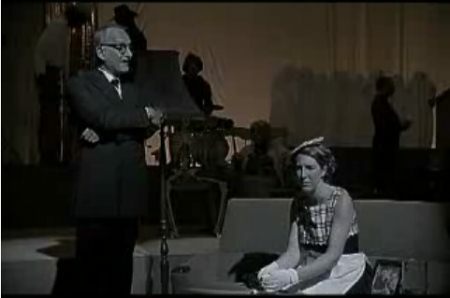 In this post we present some unusual music videos for your monday’s coffee break. Some of the videos are thought-provoking, some of them are funny and some are bizarre. While many of them are well-known, you’ll probably find some videos you’ve never watched before. The videos all perfectly to the music which is being played in the background. Hopefully, everyone will find something new and inspiring for himself/herself. Please notice that you might need to watch some videos at least twice to get the idea behind them. You might want to read the descriptions of the videos — they are provided below every link. The screenshots often don’t reveal that much about the videos they stand for. Unkle - Rabbit in your Headlights What is this guy whispering? Who is the guy? And what is he doing in the tunnel? You need to watch this video till the very end. You won’t be disappointed. Jason Forrest - “War Photographer” (2005) These freaking vikings are both cool and strange. But it doesn’t make them less sympathetic. And they can play both on drums and guitars pretty well. 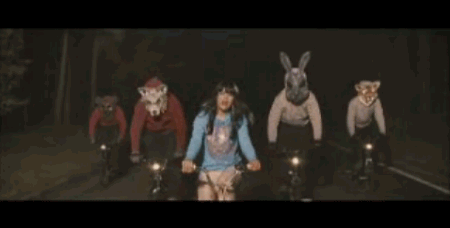 Bat for Lashes — What’s A Girl To Do 00:38 is the best moment in the history of music videos. Well, this one is kind of scary. Hares driving on the bicycles and clapping their hands at the same time? A masterpiece from the year 2007. Nick Cave & Kylie Mingoue — Where The Wild Roses Grow Probably one of the most beautiful music videos ever made. There is no need for words. Watch it. Rob Dougan — Clubbed To Death Incredible editing and directing. So symbolic, so powerful. 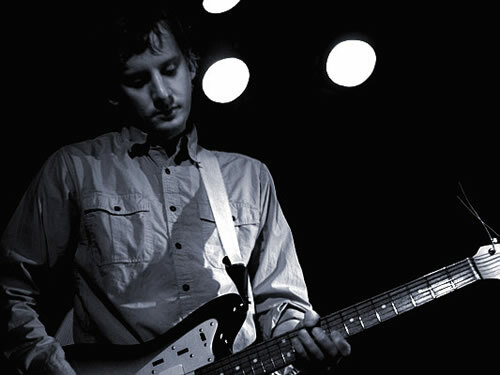 Fujiya & Miyagi - Ankle Injuries What about a music video which is made with thousands of 6-sided dice? Exactly. And the music fits perfectly. 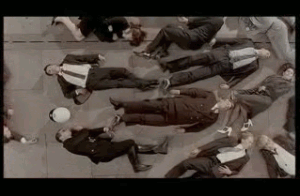 Sia – “Breathe Me” The production of this video clip took several thousands Polaroid photos. The result is… at least unusual. Citizens Here and Abroad - You Drive and We’ll Listen To Music Jason Koxvold’s video pairs crashing cars with crashing guitars. Rock. Very well executed and perfectly edited. Must see. Moby - Porcelaine Such a beautiful song. 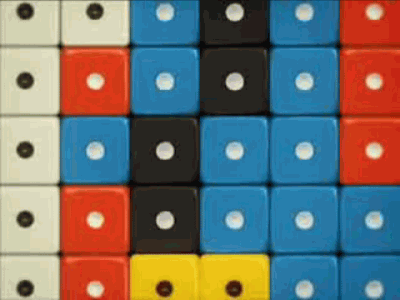 One of the videos you are amazed about once, and you never forget again. 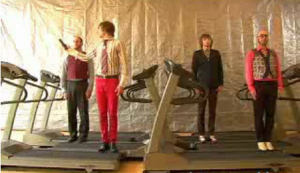 The Strokes - You Only Live Once With a Hundred ways to do a dozen things, why not try it all? Directed by Warren Fu. Arctic Monkeys - A view from the afternoon A song about a passion and unstoppable willingness to do what you love. Simple, yet so effective. “Glosoli” - Sigur Ros “Glosoli” depicts a young drummer boy gathering up the other denizens of what appears to be an adult-free utopian land, and leading a revolution to freedom. So beautiful and so touching. Don’t miss the last scene. The Avalanches - “Frontier Psychiatrist” This is freaky. Sometimes the most obvious concept for a video also turns out to be the best. 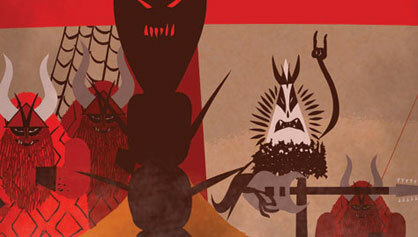 The ghost choir is the best. Except for the nightmarish old-man turtle, of course. 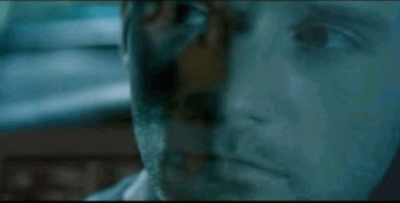 Royksopp - Remind Me We’ve featured this movie already, but it’s worth mentioning it in this post. You can watch it dozens times and still not catch everything. A day in the life of an average working Jill, broken down into its minutest component parts. The unstated joke: mankind has erected immense, resource-devouring systems of almost incomprehensible complexity just so you can sit in your cubicle. 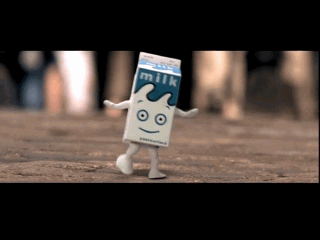 Blur - “Coffee & TV” (Quicktime) Actually, this song is about a dancing milk carton. 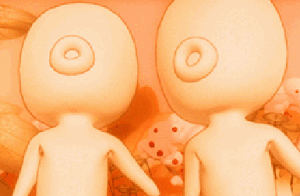 However, its adventures are funny, cute, but with a pleasing streak of cruelty. The milk-carton protagonist even has its own fan site. 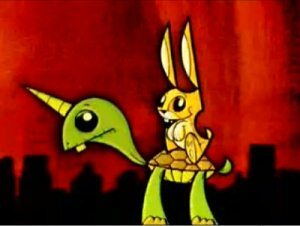 Boards of Canada: “Dayvan Cowboy” It’s pretty easy to get wrapped up in the grainy, existential pulchritude of this thing and completely miss the cheeky self-reference. So, um, where can one surf in Canada? Directed by Melissa Olson. Move Your Feet - Junior Senior That’s weird. And that’s what makes it special. 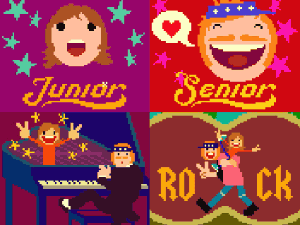 A pixel-based video clip. 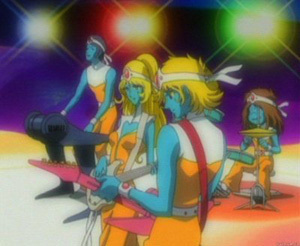 Daft Punk - One More Time Probably one of the most colorful animated music videos of all time. Daft Punk, one more time. 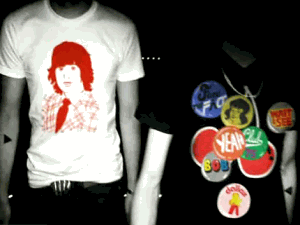 Xploding Plastix - Joy Comes In The Morning A music video about the world we live in and the world we’d like to live in. Unkle - Eye For Eye A haunting track with a creepy animation, which won an award at the Edinburgh International Film Festival. Nasty weirdness drops from the sky and then moves on. 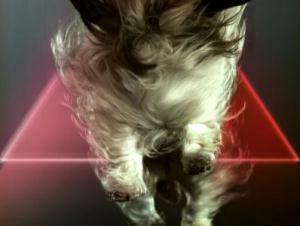 Vitalic - Poney Flying dogs in light of a laser and in slow-motion. Nobody has ever done something like this before. Justice “D.A.N.C.E.” Sometimes even T-Shirts can speak. 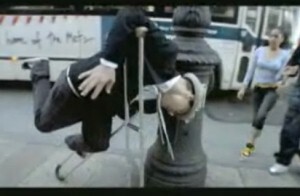 For instance, in this music video. 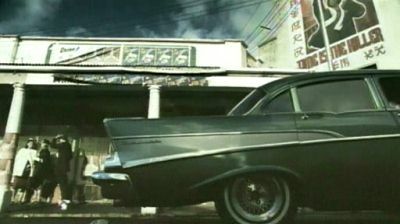 “D.A.N.C.E.” was nominated for “Video of the Year at the 2007 MTV Video Music Awards. On the first of November Justice received the “Video Star” award at the European Music Awards in Munich. Radiohead - Just What could the man on the street possibly have said? 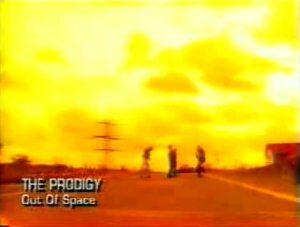 Prodigy - Out Of Space Prodigy’s “Out of Space” is probably one of the weirdest videos ever created. 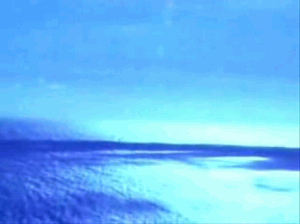 Welcome back to the 90s — this is how some videos looked like then. The song which was * for the whole generation. 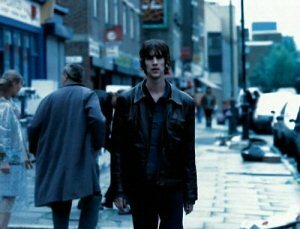 The Verve - Bitter Sweet Symphony A video everybody has seen. And everybody would see again. RJD2 - Work It Out This guy just want to have some fun with his crooks and his skateboard. A one-shot-video from 2007.